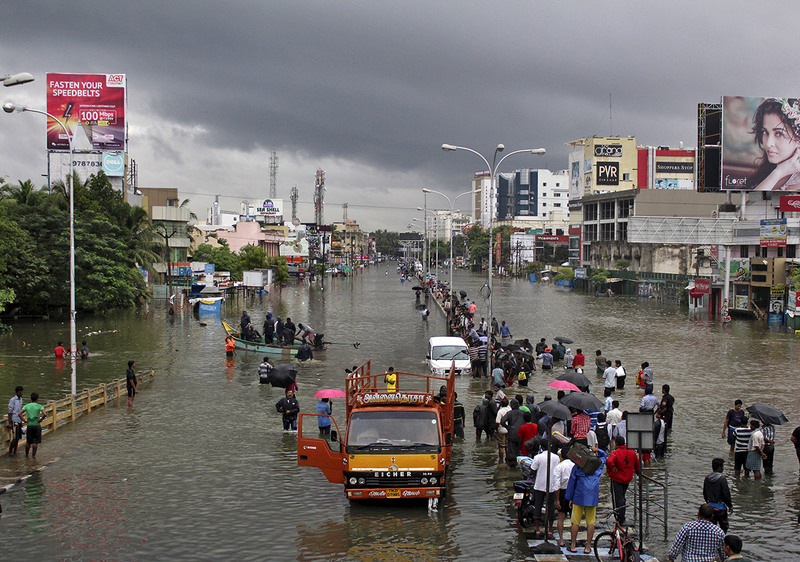 Severe Floods in Chennai, India... Please lend a helping hand!! 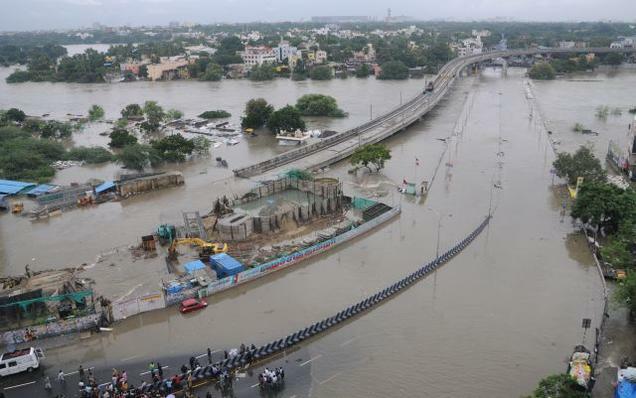 If you haven't still heard about it, severe floods have lashed Chennai (a southern city in INDIA). The rains have left thousands homeless and completely paralyzed the transport system and network connectivity of the city. These pictures say for themselves the helpless state of the people. If you are in India, please use this bank account details to transfer funds. Plz bring ur contributions mainly blankets,mats,candle,mosquito coil and food. We av volunteers 24/7 in big fm to collect. A Custom Metadata type is similar to Custom Settings. However, there are a few distinct factors that make it even more attractive. 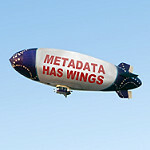 When you deploy 'Custom Metadata', the associated data you created against it is also deployed to the target organization. Deploying Custom settings only deploys the metadata, you will have to manually upload data into the custom setting post deployment. With Custom Metadata, you can issue unlimited SOQL queries against them. Moreover, custom metadata fields are manageable, meaning that you can upgrade them from the developer organization. This feature is particularly useful for AppExchange applications which previously used Custom Objects / Custom Settings to store preferences and settings. It is important to understand how approval email notifications work in Salesforce.com, particularly when you are mass submitting/re-assigning approval requests. You might want to avoid unpleasant situations wherein users are flooded with email notifications in their inbox. This article tries to point out the various options available to avoid such situations. 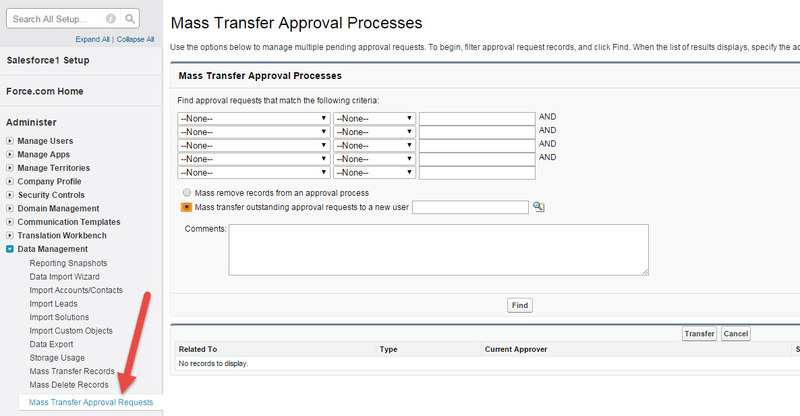 How does Salesforce send an email to the approver when a request is submitted? Note that even if you leave this field BLANK, Salesforce will still send out an email notification using a default email template. If you want to add your company branding to the email, this is the field to specify the template for it. 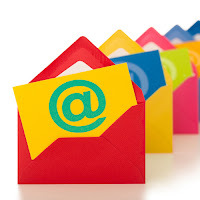 Some users tend to add an email alert as part of the initial submission actions. This might possibly send out two email notifications (Please test and verify). How to stop email notifications while mass submitting/reassigning approval requests? This is a rather pain some exercise since this has to be done individually for every user. Navigate to the user detail page and set the below field to 'Never'. Note : As of Summer 2015, this field is not available through the API and hence will have to be updated manually for every user. There might be situations wherein System Administrators are required to mass transfer pending approval requests. This article is aimed at providing the various options available. As a word of advice, please be CAREFUL before you do the mass reassignment as this will trigger EMAIL NOTIFICATIONS to the new assignee's. This is straightforward as shown below. Note that you can mass recall approval requests from this page as well. Also, you do not have the option to transfer to a Queue. In a bid to combine all posts of this blog into one single space, I am starting to put these together in a e-book format. 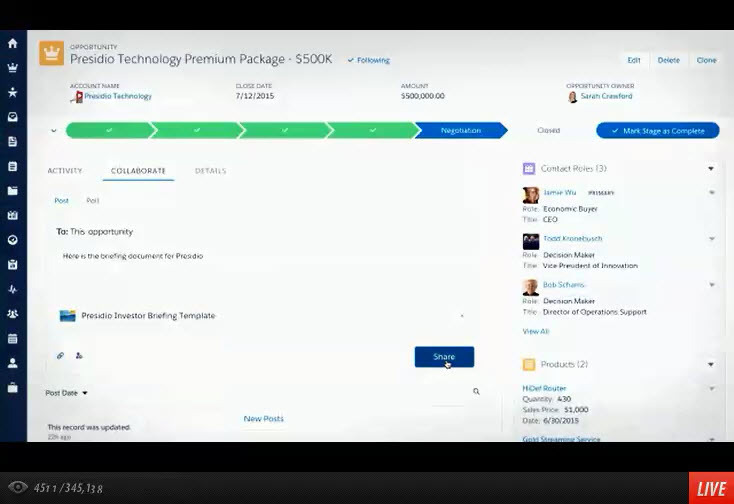 You can enroll and see the complete course here https://www.openlearning.com/courses/salesforceforall as it progresses. It's FREE. Feel free to leave feedback, and any topics you think should be included. Any feedback is greatly appreciated! This book is intended to provide a basic understanding of Salesforce.com. This book aims to strongly establish the fundamentals of Salesforce.com as a platform/technology. This book is intended for audience who are new to Salesforce.com, or who are new to software development in general. CRM stands for Customer Relationship Management. Managing a Company’s customer operations, which includes Sales, Service, and Support etc. is broadly represented as CRM. Customer base is important for any Company’s success, and a powerful CRM system plays a major role towards achieving this. 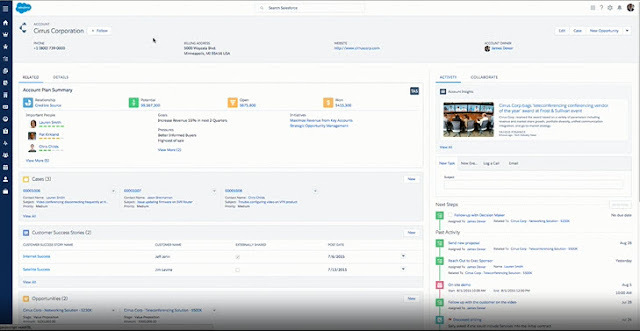 Salesforce.com is a Software Tool which helps companies better manage their CRM. 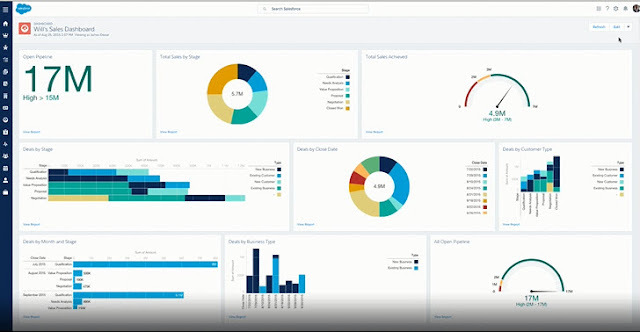 There have been many such popular tools including Siebel CRM, but Salesforce.com entered the industry in 1999 and gained popularity around 2004 to 2007 and has remained at the top ever since. Salesforce was able to achieve this level of success in a short span of time because it is a CLOUD BASED application. To understand what a CLOUD BASED application really means, we would have to look at some history. Traditionally a software application pretty much followed the same architecture as shown in the below diagram. As seen in the diagram, the hardware infrastructure (database and Application Layer) which typically included server machines were being maintained individually by every company. Developing and maintaining such architecture does involve manpower, space and a considerable maintenance cost. As seen in the diagram, in the cloud based approach an Infrastructure Provider Company maintains the infrastructure and multiple organizations share the same resources. Organizations can now forget about allocating space, manpower and budget for the infrastructure. They can readily purchase the required resources from the Infrastructure Provider Company and be up and running in a short span of time. As the organization grows in the future (more data /more users), they could purchase additional resources and expand. The table below summarizes the basic difference between the two. How is Salesforce a Cloud Based Application? Having seen a little bit of history, let’s look at a high level architecture of Salesforce. Salesforce is a web-based application, just like any other website (ex: twitter.com or facebook.com). A Company willing to use Salesforce.com CRM contacts Salesforce and purchases user licenses (user accounts). When the company has purchased the licenses, they are ready to setup users and start using Salesforce.com CRM right away. I hope this history and background would have given you a dim idea of what Salesforce is. If not, never mind, you will get to know as we proceed along the next chapters. Today, Salesforce unveiled the NEW. Here is a sneak peak of the features first hand. And there is a whole lot NEW for developers. Lightning components is the NEW world. This article is out of the blue and not related to the technical stuff i usually write about. I am writing this hoping that it might help someone make a informed decision. 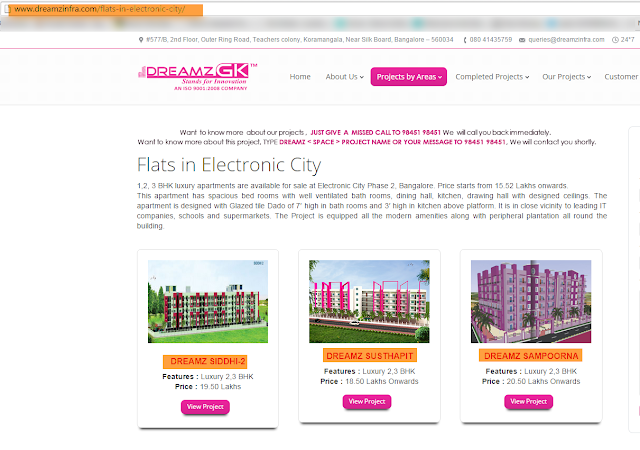 A real estate company in Bangalore, Dreamz Infra Pvt Ltd (http://www.dreamzinfra.com/) promises to sell apartment homes for very cheap prizes. If you are considering buying an apartment from them, I would suggest you ponder over these points before you make a decision. I hope that this post will attract honest reviews from those who purchased/tried to purchase with the company. The prices of the apartment are unbelievably cheap. Compare with the market rates and you will notice that there is a sharp difference. There is an unbelievable large number of positive reviews for Dreamz Infra. 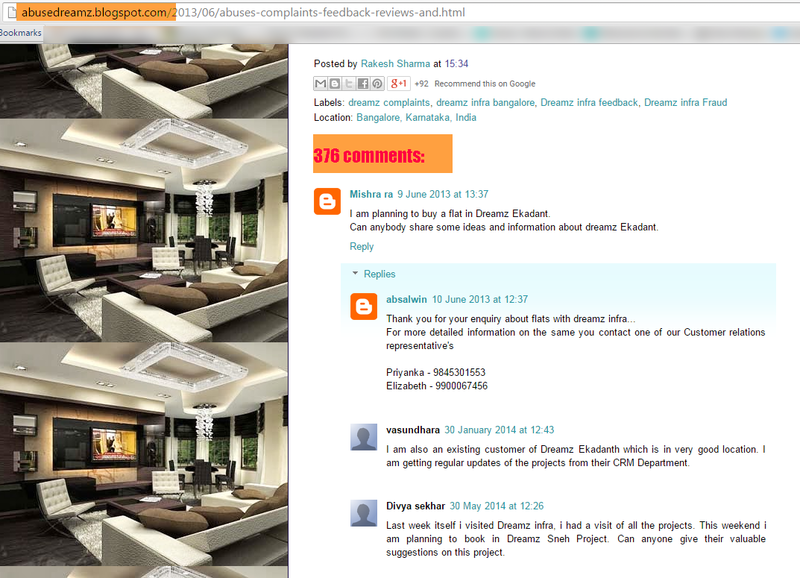 There are even blogs created by employees of Dreamz Infra like this one. Note that all comments are positive reviews. 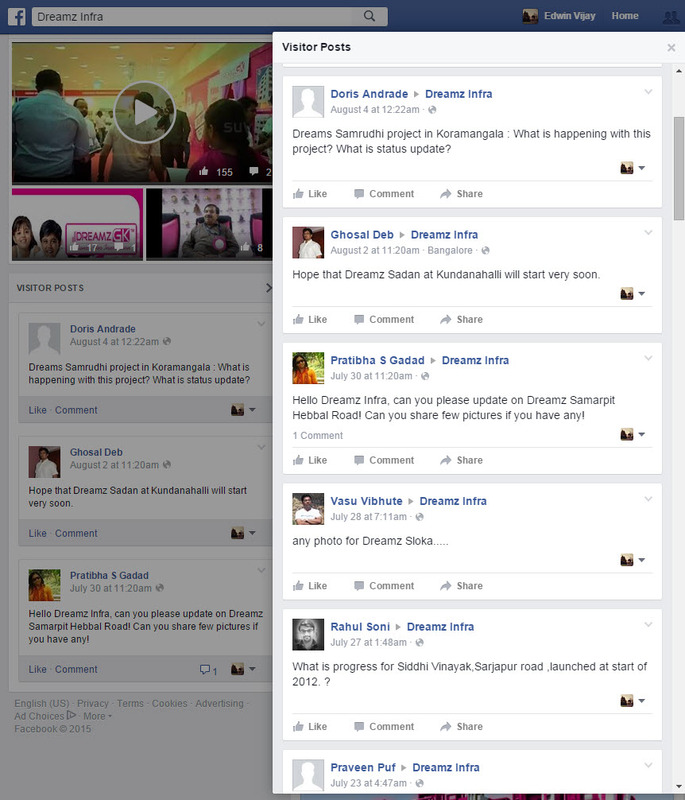 Now, the contrasting part is that their Facebook page (https://www.facebook.com/DreamzInfra?fref=ts) is nothing but filled with negative reviews. Note that customer support hasn't responded to any negative review, whereas positive reviews are liked or commented at. I used https://web.archive.org to see what content they had on their website historically. I was surprised to see that the projects listed in 2012 in Electronics city are neither seen in the completed list nor do they show up in the current projects list. Here is the official documentation from Salesforce - Click here. In this article, I will try to provide steps to quickly setup the deployment process. For a detailed description of every file and various options please go through the link above. 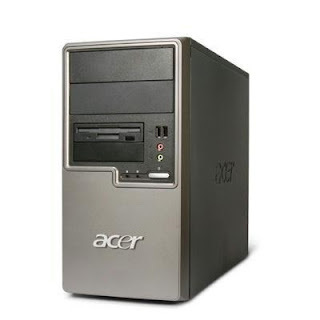 This article is only for a quick setup process and doesn't intend to cover details. Visit http://java.sun.com/javase/downloads/index.jsp and install Java JDK, Version 6.1 or greater on the deployment machine. Visit http://ant.apache.org/ and install Apache Ant, Version 1.6 or greater on the deployment machine. Unzip the Apache ANT file downloaded in STEP 2 into any desired folder. Let's assume we unzip the folder into the location as shown below. 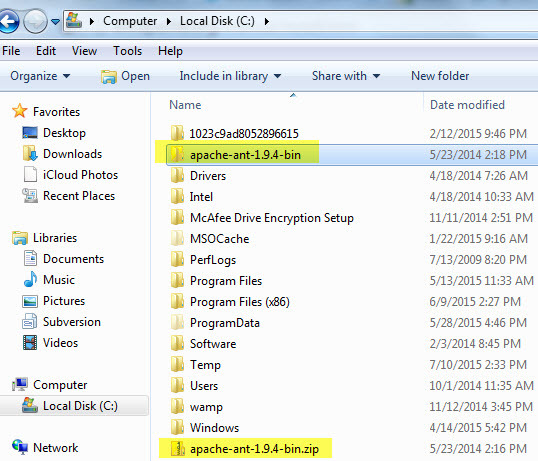 I download and UnZipped Apache ANT into my C:/ . You can use any directory you wish. We will now setup the environment variables. 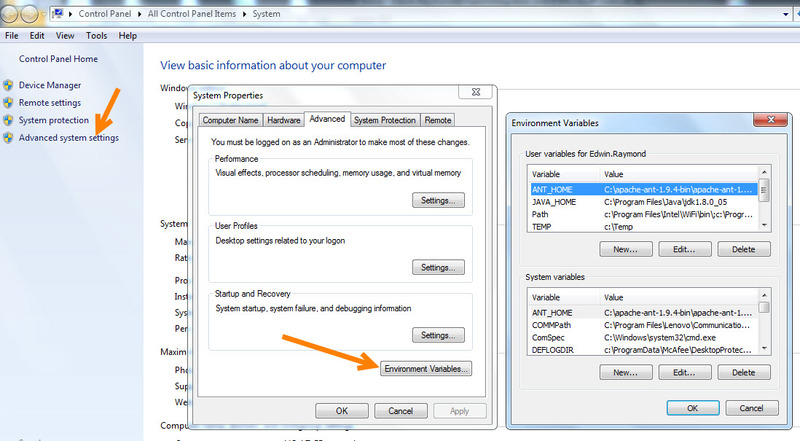 Open 'Environment Variables' as shown below. Add the following two variables to the 'User Variables' and 'System Variables' . Append the two BIN paths to the 'Path' variables under both 'User Variables' and 'System Variables'. My Path variable looks like this. 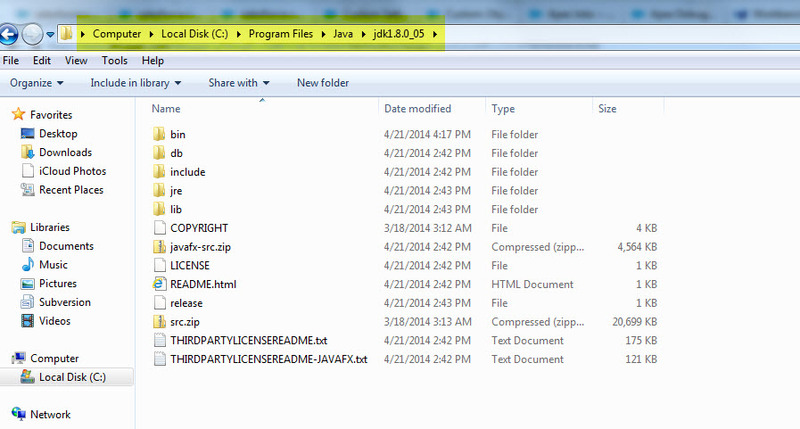 Note: These locations are based on the directories in which i installed JAVA and APACHE ANT. 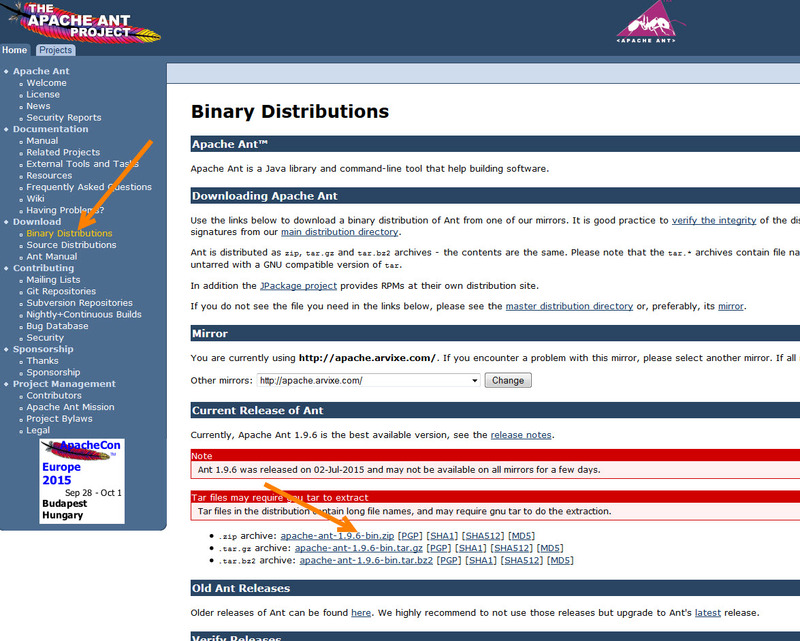 Your location might be different if you installed in a different directory. The Path variable should point to the BIN directory. Verify that the installations were successful by going to the command prompt and executing the following commands. 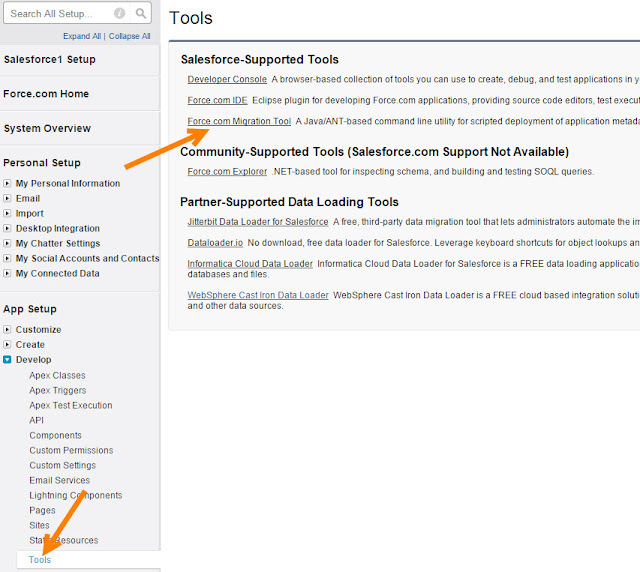 Log in to Salesforce on your deployment machine. From Setup, click Develop | Tools, then click Force.com Migration Tool. Unzip the file to a directory of your choice. I unzipped it to my desktop. Replace the ant-salesforce.jar file from location in STEP 8 to the location in STEP 9 as shown below. Now, modify the build.properties file in the 'deploy_sf_ant' folder. This file contains the username/password for the sandbox and production organizations. Open build.properties with WordPad and enter the details. Place the package.xml in the 'RetrievePackage' folder. The package.xml file contains the list of components you want to deploy. 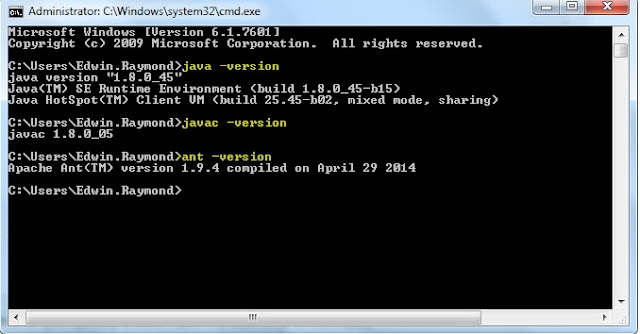 Run the command 'ant retrieve' from the command prompt to retrieve the changes from sandbox. 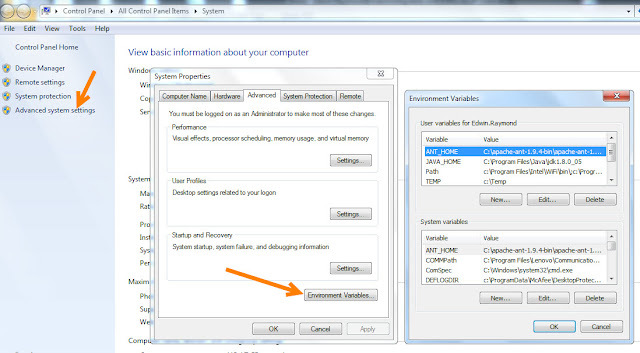 Make sure you run the command from the folder location specified like below. After you run the command, a folder named 'deploy' is created. Run the command 'ant deploy' from the command prompt to deploy yo changes to production. Use the instructions.txt file for subsequent deployments. 3. Folder 'deploy' is created. 4. To validate change edit build.xml and make 'checkonly = true'. 6. Rename the 'deploy' folder and copy to 'completed' folder for history tracking. You might get this Error fairly frequently when developing complex Apex Triggers. In this article, we will look at the causes and possible solutions to address the issue. This error message typically means that the Apex Trigger is taking too long to execute. The maximum CPU time for a trigger is 10,000 milliseconds or 10 seconds. Note that the time taken for DML and SOQL operations does not fall into this category. When you get this error, it DOES NOT mean that you have too many DML operations or large SOQL queries. Rather, it means that there is a problem in the way you handle the result of those operations. Try using a MAP instead of a LIST. A MAP is always much efficient to use. Try to avoid iterations or FOR loops wherever possible. Check your nested FOR Loops. This is one MAJOR area which consume too much time. Try to minimize the iterations. Ever faced a situation when you wanted to deploy a bunch of fields or page layouts and the Apex Tests execution would take hours and hours to complete?. A recent feature 'Quick Deploy' enables you to skip Apex Test execution when you deploy. However, you will have to run the validation which executes test cases. The feature does reduce the deployment time by half, since traditionally test cases were executed both during 'Validation' and 'Deployment'. Here's the official release note from Salesforce http://releasenotes.docs.salesforce.com/en-us/spring15/release-notes/rn_quick_deployment_ga.htm. The feature is Generally Available and does not require any activation. This blog post is an extension of a previous blog post (http://www.forcetree.com/2011/09/radiobutton-in-datatable-in-visualforce.html). The code below explains the way to retain the RADIO button selection on a Visualforce page. Information is reliable and effective only when it is accurate. Organizations strive to maintain the quality of information as clean and updated as possible. Clean data leads to better insights which means better planning and better business. 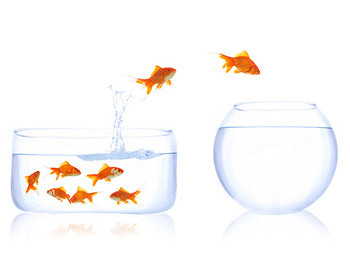 RingLead offers a great product Unique Entry, which helps you prevent duplicates in Salesforce. It's easy to install and get started in just a few minutes. What's great about Unique Entry? Traditionally duplicates are prevented in Salesforce using Validation rules, Apex Triggers or custom Visualforce Pages. In such cases, the system prevents duplicates only after the user tries to Save the record, which is a lot frustrating after taking the time and effort to enter all the information. Unique Entry acts smart and detects duplicates as and when you start entering information into a new record. Unique Entry alerts the user of possible duplicates found, and displays the duplicate records it identified. This saves time and effort particularly when your organization deals with huge amounts of data. I created a new Account 'A&A Associates'. 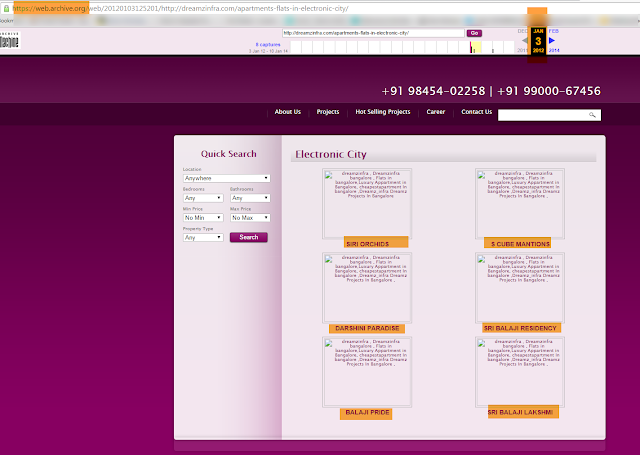 Now, i try to create a new Account with the same information as 'A&A Associates'. As you could see, Unique Entry has detected the original account created earlier after i entered the 'Account Number' and 'Account Site'. It also displays prominent information about the original record, and the user could choose to edit it instead. Unique Entry is easy to setup, with just a few clicks. First, install the package from the app exchange by Clicking here. Unique Entry is a Force.com native app, installs quickly and easily. 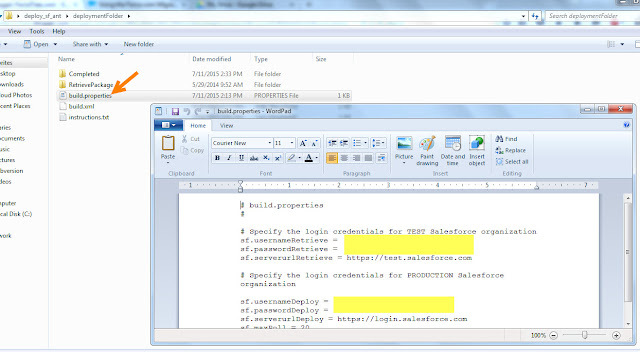 Override the new button of Account, Contact or Leads with the corresponding Visualforce Pages as shown below. The screenshot below shows overriding the 'New' button for Accounts. That's it and you are ready to start preventing duplicates. The Visualforce pages provided with the package mimic your Custom Page Layouts, and they still honor your record type and profile mappings. The example below illustrates the way to REMOVE any given row in a table in visualforce and ADD new rows. The REMOVE button only removes the contact from the UI. The REMOVED rows are deleted from the database when the "SAVE Changes" button is clicked.